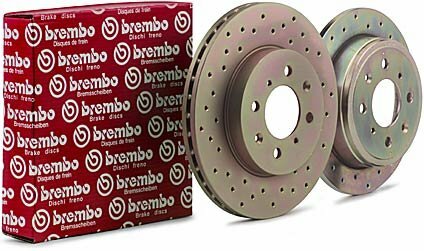 Brembo Sport drilled brake rotors are for drivers who want to improve the looks and performance of their vehicleâ€™s original braking system without having to change additional brake components. TECH TIP: These rotors are the same size as the stock RSX brake rotors and will bolt right on. Price includes (2) rotors.